Many K12 schools evolved out of South Carolina's "separate but equal" building spree of the 1950s. (See more information on "SC Equalization Schools.") Some however, like the ones listed below, predate that era. If you know of a link for a school that should be added to this list, please write service@sciway.net. The school can be active or no longer in service. South Carolina has seven historically black colleges and universities. Between 1917 and 1932, over 5,000 schools were built in the rural South to educate African-American children. 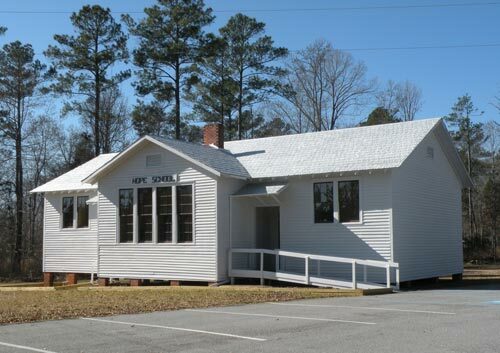 They were called Rosenwald Schools in honor of Julius Rosenwald, then president of Sears and Roebuck, who provided the majority of funds for their construction. Hundreds of "separate but equal" schools – also called "equalization" schools – were built in South Carolina during the 1950s in an effort to forestall integration. – Learn more - an excellent guide! After the Civil War and throughout the first half of the 20th Century, normal, agricultural, and industrial schools were popular for African Americans. Beginning after the Civil War and continuing for several decades, private high schools for African Americans were established in response to the lack of public education opportunities.